This group is in partnership with Beating Benzos and Beating Benzos Protracted Groups. 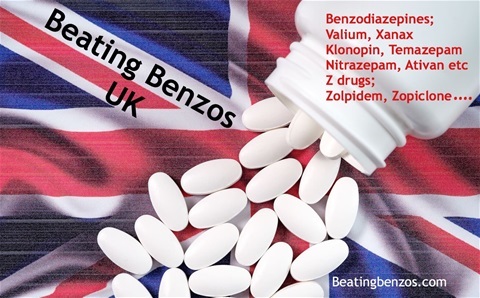 It has been created as a satellite group for those people who are suffering from benzodiazepine withdrawal and who reside in the United Kingdom and Ireland. Its purpose is to provide support for benzodiazepine withdrawal through linking people in close proximity to each other for more personal contact as well as discussion regarding all aspects of Benzo withdrawal, either for those in the early stages or suffering after a long time. We request care is taken to always give caring and supportive answers and to avoid fearful and unproven responses. This positive ethos is maintained to ensure that members are kept hopeful of recovery. The Ashton Manual and Heather Ashton’s following updates and videos are used as the basis for any information but may be supplemented by the most recent research that takes place as well as anecdotal evidence. Any tapering recommendations given and ensuing taper plans must be shown to your GP or prescribing medical support and used alongside their advice regarding your own health and the need to remove benzos from your system. Professional guidance should also be sought for any symptoms of concern. We are not medically qualified and can’t give medical advice. Help is based on our own knowledge from the experience of long term use of these drugs as well as in depth research and years of being involved with campaigning and helping others. Members can be given links to the nearest benzo support in their own area and hopefully to other members within that area if they wish. On requesting membership please answer three questions to confirm your need for support in this group. 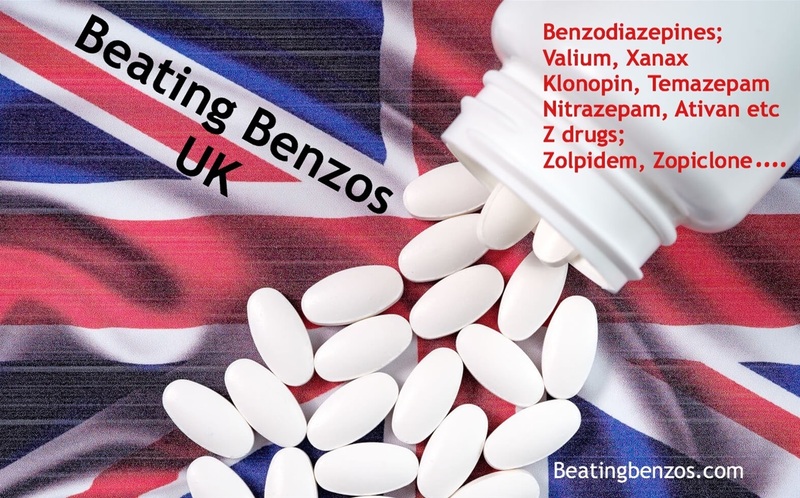 Admins are Rosalind Jones and Martin Harris with updated reports on Benzos in the UK by Barry Haslam and tapering advice by David Jones. The Guidelines for Beating Benzos also apply here in this subsidiary group and should be read on joining. They are posted in the Announcements at the top of Beating Benzos UK. Please also add your own history of Benzos or Z drugs on the main page when admitted and this will become your introductory post. We hope a more local group will provide support for you as well as quick access for professionals and politicians to see the depth of the problem in their area and their country. Benzo withdrawal is your story, nobody else’s. Comparing all the variables with those of other sufferers won’t tell you anything at all about how your recovery will go or what symptoms you have to face. It doesn’t matter which Benzo, how many other drugs, how long on, your age, or your method of withdrawal as there is no one certainty that covers all scenarios. All we do know is that recovery will unfold in the time and way that is right for you. Never lose sight of this fact. The many groups that exist for support can cause turmoil and upset for you if everything is believed and taken on as your own. 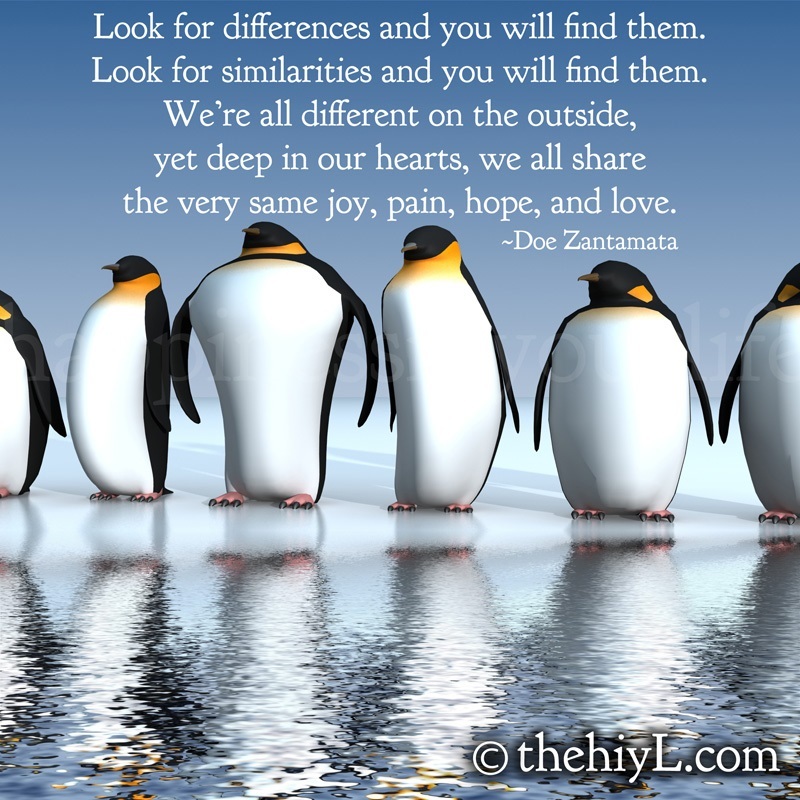 No two stories are the same and nobody knows what Is right for you. All those of us that try to help can do is support with knowledge and understanding but never tell you what is right and wrong for you. In a few cases recovery from these drugs can take several years, as it has for me, but this is what is right for me and how it’s unfolded for me. I’ve recovered knowing that I am individual and I’ve always held total belief in myself and acceptance of what is happening. I don’t deny it’s been difficult and I’ve sort out many hands to hold during the process but I am there now and the sun is shining on the other side. You’re going to be ok wherever you are on this journey. There are numerous, inexplicable symptoms that come to plague us as we recover from benzos. They seem to appear in ‘sets’ which means sometimes they may be focussed on the gut and throw up a multitude of problems in that area while, at others they are focussed on muscle pain and we experience stiffness and aches all over. There’s a list of symptoms on my website and here in the Announcements which will verify what you are feeling is normal for withdrawal. If it’s not on the list it’s still likely to be ‘normal’ as the whole body and brain becomes compromised by these drugs. I always say get medical reassurance as needs be just in case there is something else going on, after all, even in Benzo withdrawal, life continues and we can still get sick and suffer viruses on top of everything else. The main point is not to let those symptoms ‘freak’ you out too much. They can be very weird and make you feel you must have this or that medical condition. Out comes Dr Google who gives you all sorts of scary answers so that the very least you have is Multiple Sclerosis, cancer or a brain tumour! This is highly unlikely but does show how adding that fear to an already fearful situation is going to pile on the anxiety and up the level of pain and suffering. 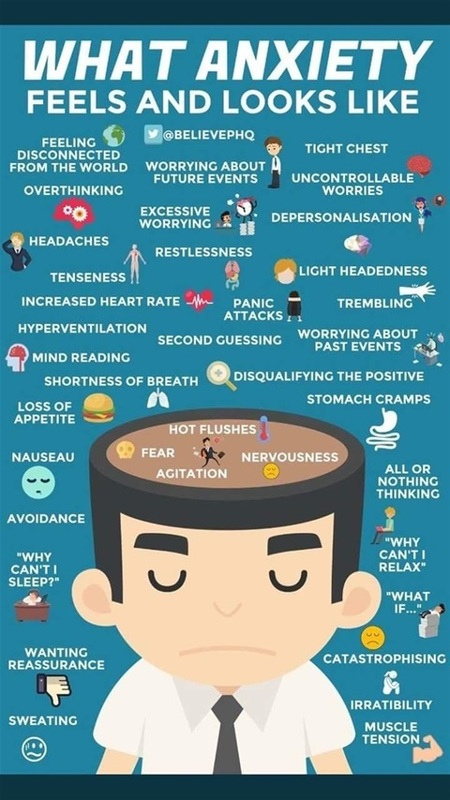 Also going into great detail about your symptoms by writing them all down on the groups and get those confusing answers is not always a good idea because again, anxiety can be increased. I’m not saying don’t ask as you need reassurance but try not to focus on each individual symptom as it crops up because mostly these are just passing through as the body reorganises itself to regain a benzo free life. It is an inexplicable experience and not a lot we can do but hold on and let it all pass, as it will. If you can accept the symptoms and not add fear your journey will be easier. Remember, they are a sign of healing so don’t let them cause you to think you’ll never get better or they are permanent as there’s no evidence for this at all. We have to experience the symptoms to reach full health. They don’t need to be controlled by more drugs or supplements or even by other, alternative therapies as basically they need to be left alone to sort themselves out and bring you to peace. Let the symptoms pass, watch them from a safe place within yourself, let go of control and they will all settle in the time that is right for you. Many symptoms are created by the anxiety we feel at this time. The picture shows just how many of our symptoms can be down to the high level of chemical anxiety we experience as the brain heals. Never lose hope. Hold it deep inside you and let it carry you through the worst times. 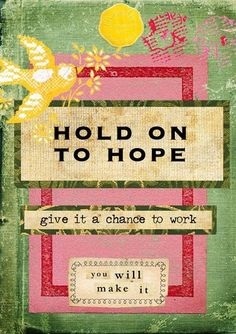 You are recovering, never doubt it, just dangle that beautiful carrot of hope in front of you and let it be your guide. You may stumble along the way but pick yourself up, dust yourself down and leave the past behind. Recovery is like climbing a mountain sometimes but you’re going to reach the summit and perhaps sooner than you expected so keep going. Don’t compare yourself with others climbing beside you, trust yourself and the carrot of hope.